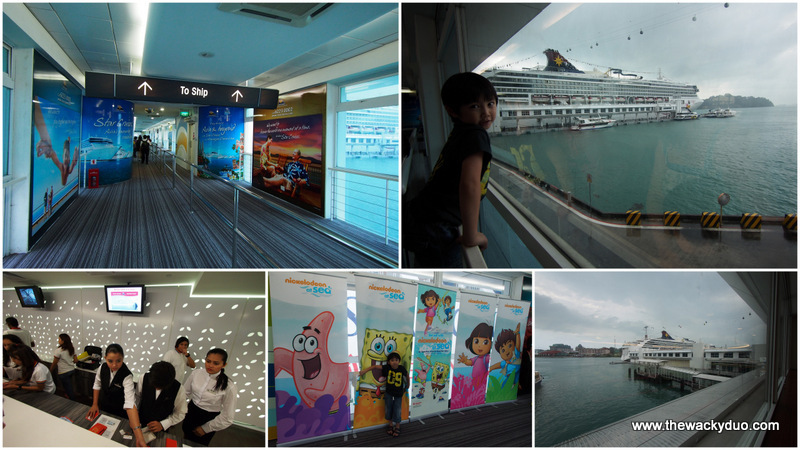 Our vacation for the December school holidays is a 4D 3 N cruise on Superstar Virgo. Our destination for this trip would be Penang ( Malaysia) and Phuket (Thailand) . It was the first time the family was on a cruise together. Let's hope onboard with us for a voyage to remember! Superstar Virgo is docked at Singapore Cruise Centre. Do note for large luggage, you are required to check in the luggage first at Level 1, before proceeding to Level 2 for Cruise departure. The process was rather smooth. Along the way to the ship, you will be stop by various performance for photo-taking . Do get your cameras ready! We were ushered into the Grand Piazza for a welcome drink before proceeding to our rooms. 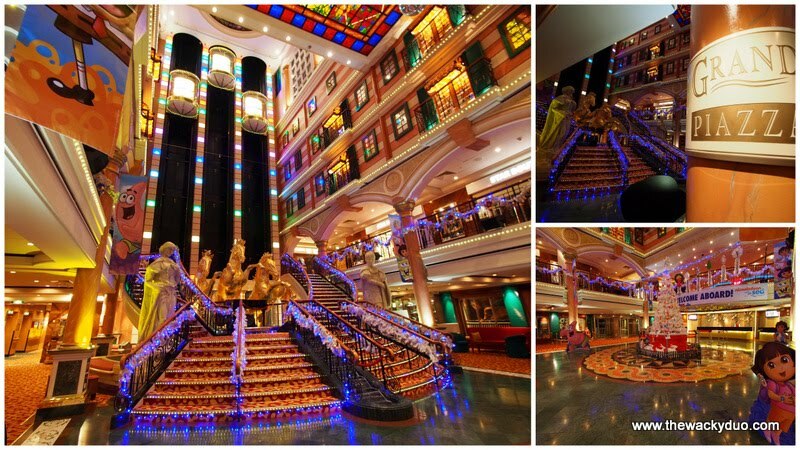 The ship has a total of 13 Decks. However there are only 9 Decks accessible. 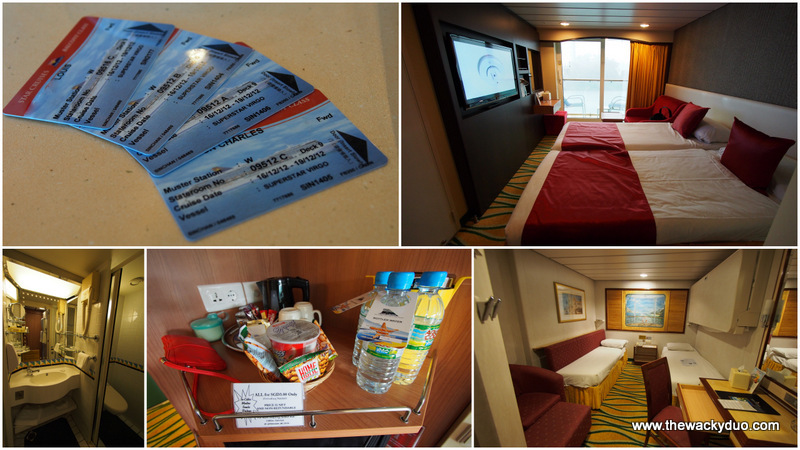 Most of the facilities can be found from 7th to 13th floor as the rest of the decks houses cabins. Do take this opportunity to walk around the ship and take a picture on Deck 13 near the back of the ship with the Superstar Virgo logo as backdrop. Before the ship sails, there is a complusory safety briefing for all passengers on board. bring along your life jacket for a demostration on how to put it on. This is followed by a welcome dance at the Grand Piazza which I choose to join in. And before long it is bye bye Singapore and off to the seas! We start off the review with the ship facilities on Deck 12. There is the activity center on Deck 12 Fwd to do your bookings for shows and programs available on Superstar Virgo. Not all activities or shows are free, so you need to check if they are included in the tour. 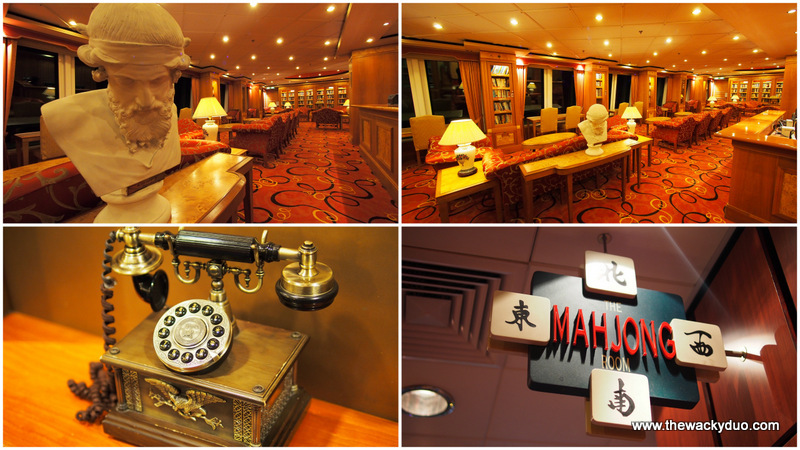 For those interested, there is a library for some quiet time and a mahjong room for not so quiet times located on Deck 12 Fwd. The phones located around the ship are functional as well. It is probably meant to call rooms within the ship. 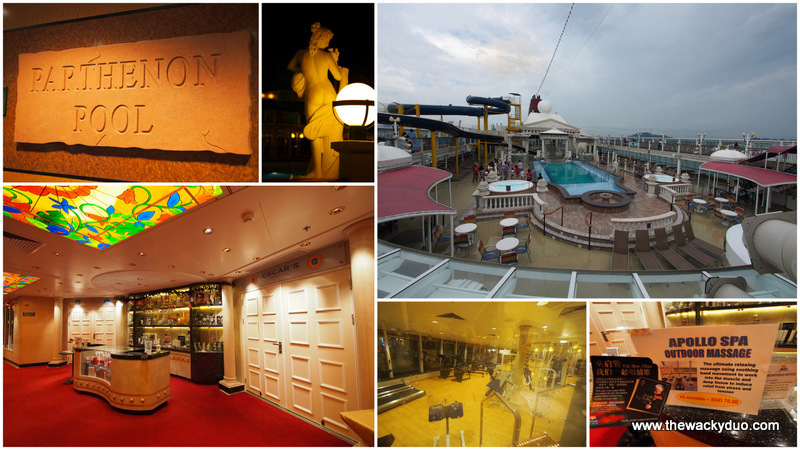 For sports, there is the outdoor pool, gym and spa located on Deck 12 mid. 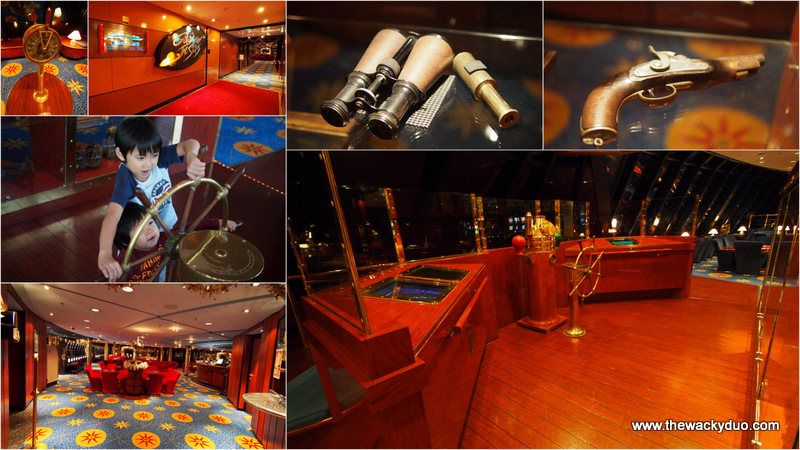 there is also a basketball court, mini golf and jogging track available on Deck 13. 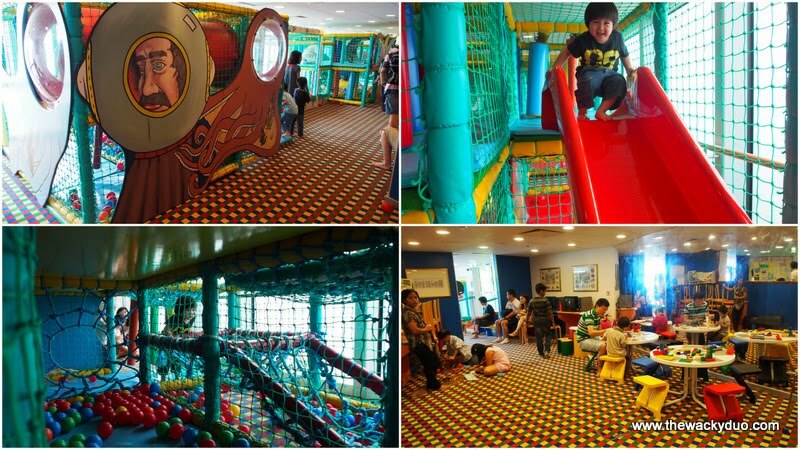 For kids, there is a childcare centre with an indoor playground as well as Lego table available on Deck 10 aft. We were disappointed to learn that these facilities are not free and you need to pay for children admission to the childcare. Nevertheless they do provide a preview of the facilities on the first day. 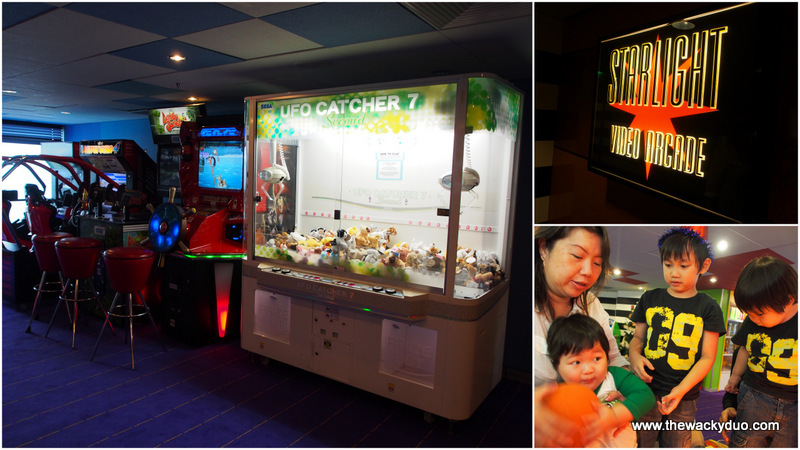 For older kids, there is a video arcade located next door. The Video arcade is rather dated, so do not expect state of the art games. We do get our share of fun with the mini version of arcade basketball. Surprisingly the machine kept extending our play without us adding tokens. We must have played basketball for over 10 rounds before we got tired. 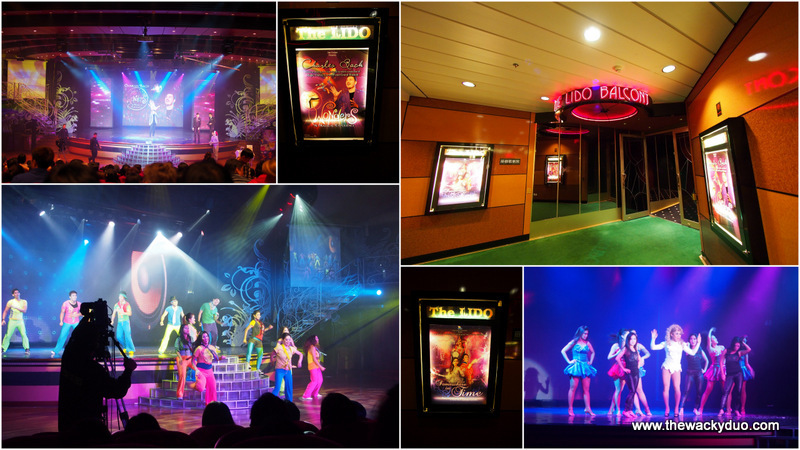 For evening entertainment, we recommend kid friendly performances at the Lido on Deck 7 aft after dinner. 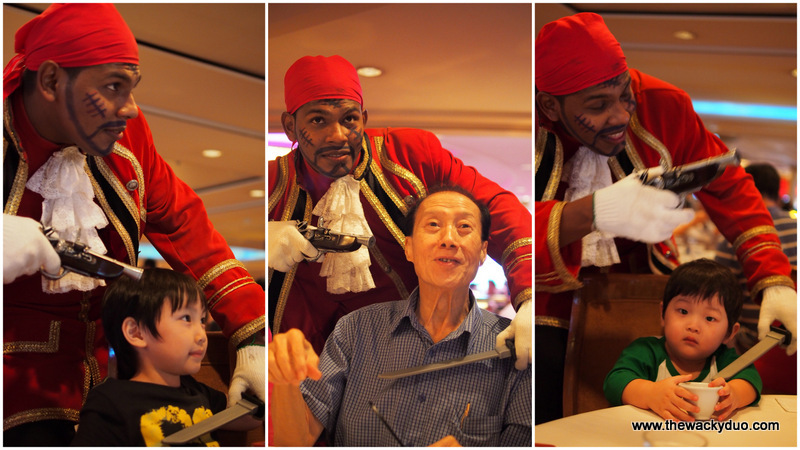 They have magic show by Charles Bach, musical with circus performance and a performance by the crew of the ship. We were engrossed and entertain for most part of the performance. There are nightly performances and it is not surprising to see kids dancing their hearts out. We do not think the shows are specially catered to kids, but nevertheless both adults and kids enjoy the chill out moment at Galaxy. 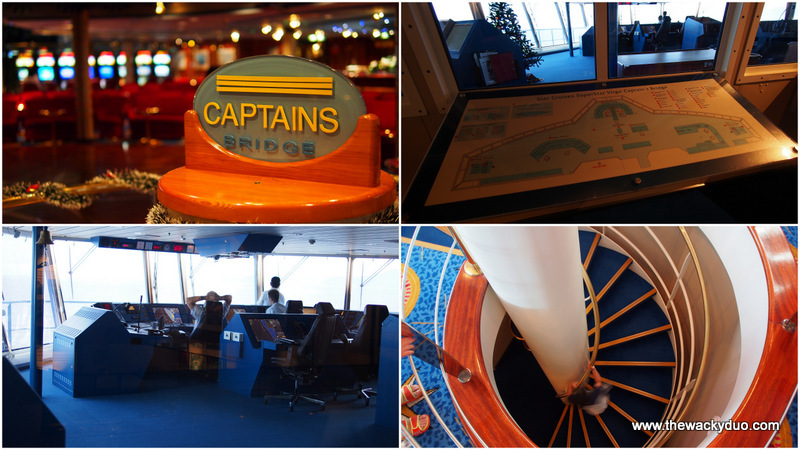 After a good dance, we step into the Captains bridge ( access at Deck12 aft) to see the Captains of the ship navigating our Cruise ship. 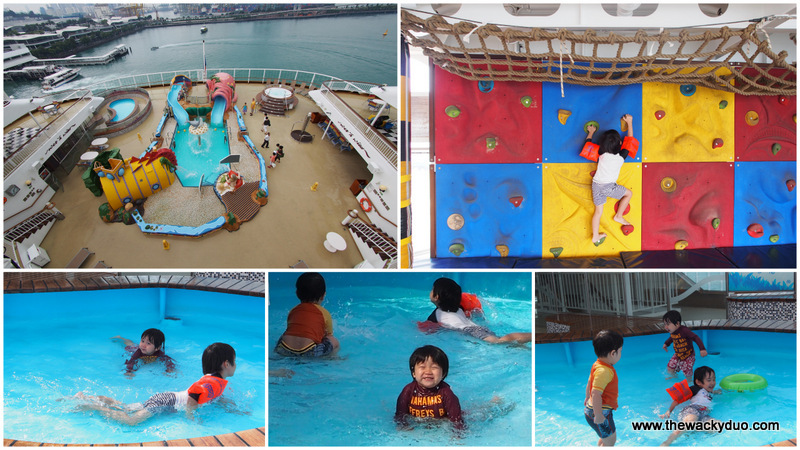 We had the most fun at Neptune's Wet and Wild located at Deck 10 aft. There is a mini pool safe for kids above 2 to 'swim' in. Older kids would like the slides. We do feel the design could be better as the main pool is about 1.2metres on the deep end. It means kids below that height have to be supervised if they cannot swim. There is also a mini rock climbing wall located next to the pool. I was not so sure why it was there but I did have a go at it given my rock climbing experience. For the adults, the Casino is open once we are in international waters. That could mean for most of the trip except when it docks for shore excursion. The room is small but spacious enough to fit 2 queen size beds. The full length sliding doors are great for viewing the sea as we lay on the bed. We had a glimpse of the inside stateroom and for those who are castropbic, you may want to consider the Balcony class instead. Dining credit of $200 per cabin (value depends on trip)which you can use around the ship A La Carte restaurants. The best thing about Balcony class would probably be the balcony where we could enjoy the views while the ship cruise. It can get chilly in the evenings so do remember to close the sliding doors. For families with kids, the sliding doors can be double lock. The risk of younger kids opening the door can be limited as the doors are quite secured when it is double locked. To get a piece of the action, do get your daily Star Navigator for reference. There are numerous activities on board. However they are not are complimentary and some events require charges. Although we are book on a cruise with Nickelodean crew, we hardly get to see them. Slots are limited and some of the activities are chargeable as well. There will be roaming characters on board who love to take a picture with you. Each picture cost about SGD 20 adn are avaliable at the picture gallery. The great thing about cruising is that you can do something all the time or do nothing at all. There is no wifi avaliable and 3G connections are limited. It is a great way to detach yourself from technology and just simply enjoy the allure of the sea. We love the fact we could get our parents undivided attention during this trip. Sometimes we need the time and space to reconnect with what is important to a family. Do enjoy the company on board. I know we did with our family on board.For this trip we were on board with Yeye, Xaiver and his parents. Look out for mini activities such as gala dinner performances on board. Overall we had a great time doing what we like onboard. There was no much of a hassle to decide on what should be done. Our favourite activities on board would be the swimming sessions at Neptune Wet and wild follow by the performances at the Lido. You can have up to 6 meals on board everyday. 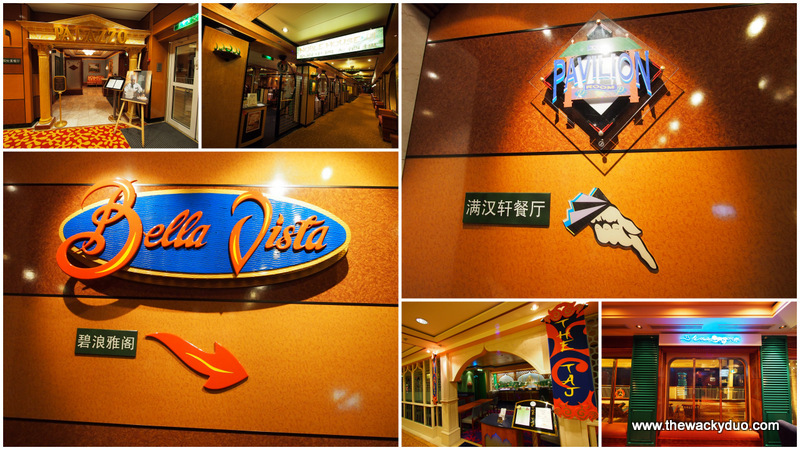 Since we spend quite some time dining, we will explore the various dining options avaliable at Superstar Virgo on a separate post. There are on shore activities as well if your cruise includes such locations. Do book early early for your land cruise to avoid disappointment. Bookings are to be made at the reception located at Deck 7 mid. Better disembarkment procedures especially when we reach Singapore. Lastly the cruise was smooth. The experience is somewhat marred by the going home process. There were mayhem at Habourfront at the taxi queues. Although there were security personnel present, they do not seem to care about the unruly queues. 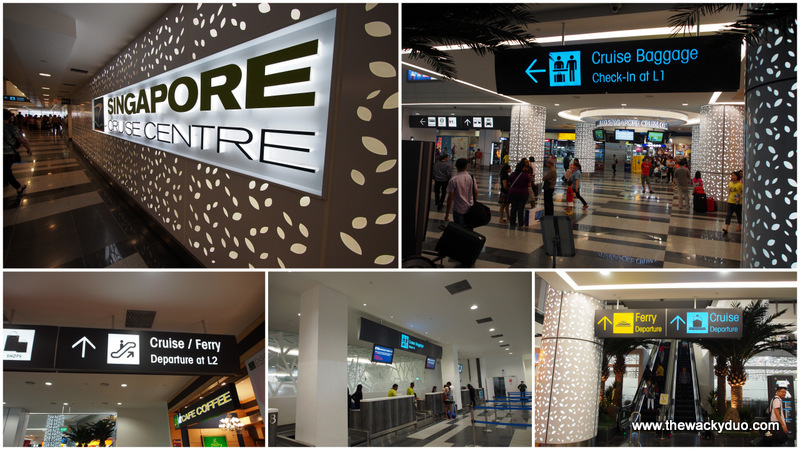 If you are expecting queues similar to Changi airport, you would be sorely disappointed. A better solution is to call for taxi. Please manage your security personnel. When approached to manage the queue, one of them had the cheek to say that there are 4.1million people in Singapore and he could not control all of them. Thereafter he step aside and start making conversations with others, totally disregarding the queues and the rushing crowd. It is not easy to manage with luggages and 2 young kids in tow.Having a paid security staff not doing his job is not helping the situation as such. For those setting out on a cruise soon, Bon Voyage! thank for sharing, great photo. Is the Phuket day trip similiar to the one in Redang where we take a small boat out to the beach just to spend a couple of hours there? I will be bringing my 2 kids in Jun, so the info would be extremely helpful! Thanks much!